With funding from our committed donor, the Jim Joel Fund, we were able to support organisations focusing on early childhood development in KwaZulu-Natal and the Western Cape. We worked with Early Childhood Development (ECD) Centres, ECD toy libraries and ECD mobile libraries that are affiliated to True North, Midlands Community College, LETCEE and Sikhula Sonke. 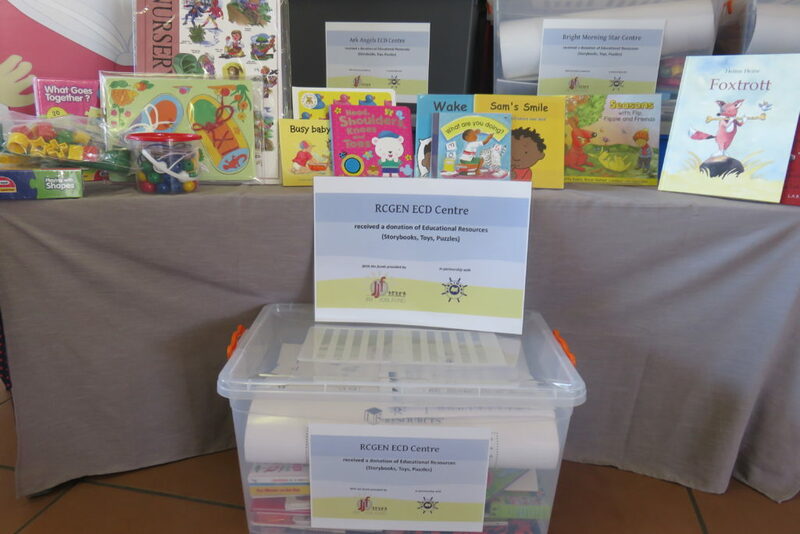 Each of the ECD Centres received books in their mother tongue which included isiXhosa; isiZulu and Afrikaans. We included a small component of English storybooks to further assist with the children’s language development. High-quality educational toys were also included in their donation. As a result, a total of 2 977 new storybooks and 576 educational toys, puzzles and posters were donated to these organisations! 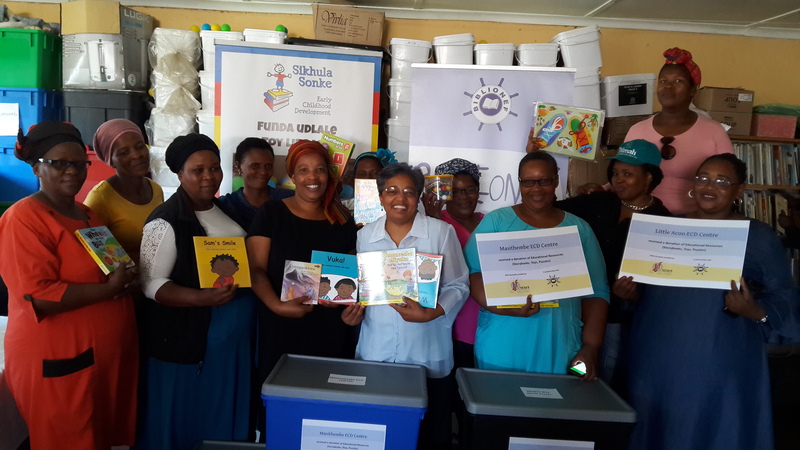 We were so pleased to personally hand over the donation of resources to the ECD Centres affiliated to Sikhula Sonke and True North in the Western Cape. The response was extremely positive with many practitioners being grateful for having new, quality resources for their Centres. A total of 107 ECD Centres will directly benefit from this donation! This translates to over 6 000 children having access to only the best books and toys for their developing mind. Thank you to the Jim Joel Fund for making all of this possible. Reading aloud is extremely important in the lives of children, both young and old! We advocate for this during all of our handovers. 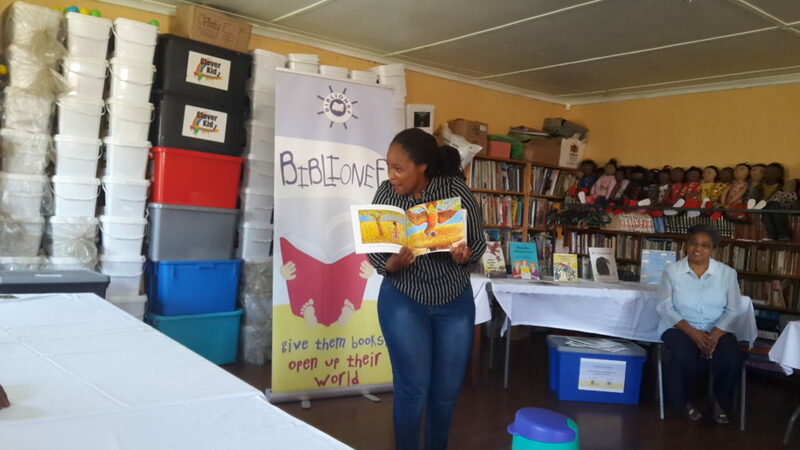 In the picture above, our Project Manager is demonstrating the different, fun ways storytelling can be done to get children excited about reading.